Dangling Diamond Feather Earrings by NINACCI and sold by Bayside Jewelry. 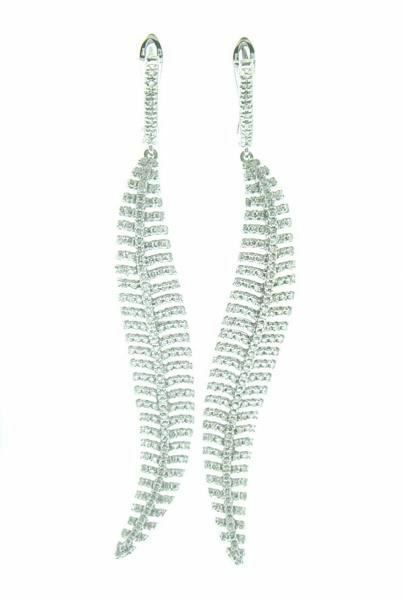 Dangling Leaf-style earrings in white gold with French Pave set round diamonds. D 1.78ct.t.w.